I own over 100 WordPress sites and have been doing wordpress optimization for them on regular basis. In this post I’ll share some of simple, quick and easy ways to speed up WordPress which doesn’t require you to be an expert. I’ve already done a similar post in the past – Speed up WordPress but that was long time ago. WordPress has changed a lot since then and I’ve managed to learn more into WordPress so I decided to do a new post with some new insights on this topic. While I explain how to speed up WordPress I’ll also do a case study for one of my favorite Tennis blog. I’ll implement the changes as described below on this Tennis blog and try to capture the effect. What a bummer!! I was supposed to provide tricks for WordPress and I start educating people for Servers. Well to be honest Servers are the main culprit for slowing down WordPress. So before you could start playing with wordpress to speed it up, first get a Dedicated Host. If you are techie then you don’t need to scratch your head to understand what is a dedicated server. Even if you are techie you must think twice before taking it for granted that a dedicated server is really as dedicated server. Before I dig down further into dedicated host, I must clarify that most of the cheap web hosting services you get are shared hosting. As a rule of thumb any web hosting service less than $100/month is doomed to be shared hosting. A dedicated server, as per definition, is a server dedicated to only you and should not be shared with any one else. However sometimes cheeky Web Hosting companies try to sell dedicated server which are not 100% dedicated but shomehow shared with others. It is beyond the scope of this topic to discuss more about hosting issues, may be later I’ll try to write a post on hosting servers. What is wrong with Shared Hosting Servers? Shared servers are dead slow. It is not unusual for hosting companies to host more than thousands of websites on a single server to make more money. No wonder why they give you everything “Unlimited” for less than a tener. There are many other problems with shared hosting as well such as security, support, server configuration etc. You can check out various shared hosting reviews on Web Hosting Reviews site. What are the benefits of Dedicated Server and do you really need a Dedicated Server for WordPress? Dedicated server are much faster than shared servers. You will have full control over the server, it will be secure and you can change server configuration as per your requirements. The most important benefit of dedicated server is that you get higher ranking on search result as your website will load faster. It is well known in SEO world that Google now considers speed into the ranking algorithm. Dedicated servers are costly. The cheapest and the best one I’ve ever come across costs about $150/month, plus you need to hire services of a webmaster to setup, configure and secure. Overall forget about doing anything else to speed up wodpress before you get a dedicated server. Just by switching to dedicated server from shared server your website’s speed can increase more than 10 times. The second most important factor to slow down wordpress are images. Most people don’t realize this fact. You take photo from mobile phone or other camera, transfer them into your PC/Laptop and upload into wordpress. By default the image sizes from the camera are very high resolution. You need to resize and reduce the image size before uploading into WordPress. Until and unless you are running a Photo Gallery you really don’t need to use large images with high resolution. Try to use images in the exact size as it can fit in your post. Always specify width and height for the images. Try to keep number of images on page to be less than 10. Anything more than 10 will slow down your page/post. I’m not big fan of wordpress caching as it doesn’t let changes reflect immediately. I’m not going to discuss about it. 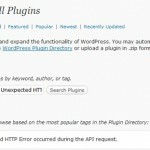 By default post revision is enabled in WordPress. Every time you edit a post/page it creates an entry into the database. In due course of time you will start to face database performance issue as the script will slow down while querying database. WordPress has notoriously unoptimized database. You will not need post revisions in day to day blogging so it is always better to turn off the post revisions feature. And don’t forget to delete the post revisions from database as turing off post revisions doesn’t automatially deletes the entries from the database. Use following query to delete post revisions from database. Minimize on the function calls, use static URLs instead of dynamic URLs. Deactivate and delete unused plugins. Cleanup the database if deleting/deactivating plugin doesn’t clean up database. Don’t install any social media icons/link plugin. You don’t need them at all. You can easily add html code and icon images manually inside a text widget. Digg Digg – This plugin is a very useful plugin which allow you to add Social Media Bookmarking buttons which lets visitors to like/digg/buzz/vote etc with a click. However it slows down page loading tremendously. You don’ t need to use a tool to see it’s slowing down effect, you can observe it by yourself. Just load the page after installing this plugin and observe. NextGen Gallery – I was a big fan of this plugin, but this plugin is huge and it increases both database and file size massively. Remove all widgets from the inactive widgets section. These inactive widgets have entries in the database which adds up to the database size. And if they are inactive then it is very rare that you will be using them again. Avoid image gallery plugins such as NextGen as it is too bulky and it slows down WordPress. Trackbacks are the external links linking to your post. In some themes these trackback URLs are displayed below each post if that post is linked from other blog. Trackbacks are overhead without any advantages. How to turn off Trackbacks & Pingbacks? Untick the “Allow link notifications from other blogs (pingbacks and trackbacks. )” box. By default this box is ticked. How to remove Trackback & Pingbacks from the database? Even if you have turned off trackback the entries in database are not removed. How to remove trackback being displayed in the post? You can use following command to remove trackbacks. Scripts Gzip – This plugin will compress CSS and JS. Be careful this plugin might mess up with your theme style. If it happens then don’t install it.